Fred Thomas Laprath was born on Dec. 14, 1933 on his parent’s farm in Tripp County, South Dakota. He was the son of Hans Thomas Laprath and Frieda Christiana Manke. Fred was baptized in the Lutheran Church. He spent his early childhood in Idaho where his family resided during the Great Depression and World War II period. In 1945, the family returned to the Dallas, SD area where his family established their home, farm and cattle operation. He attended Dallas High School. Fred left high school before his senior year to serve his nation in the Army as an infantryman in the 10th Mountain Division while stationed in Germany during the Cold War. 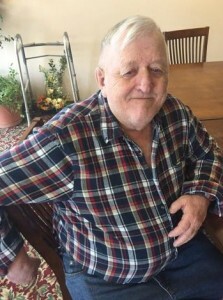 Following his military service, Fred spent the rest of his working life farming south of Dallas on his farm or helping his brothers work cattle and hay on their parent’s farm. He was independent-minded, bachelor farmer who loved his farm and his cows. His family and neighbors will long remember his farm with its great assortment of animals. Fred’s pastime enjoyment included fishing, visiting family and neighbors and telling stories.